1-1 performances this year by Eli Tomac in the 450 Class. Overall wins through nine rounds in the 450 Class by Tomac. Straight moto wins by Tomac. Average moto finish for Ken Roczen and Marvin Musquin over the last six motos—best in the class. Laps led of 16 in the second 450 moto by Roczen. Holeshots in eight 450 motos for Justin Bogle since returning from injury at Southwick. 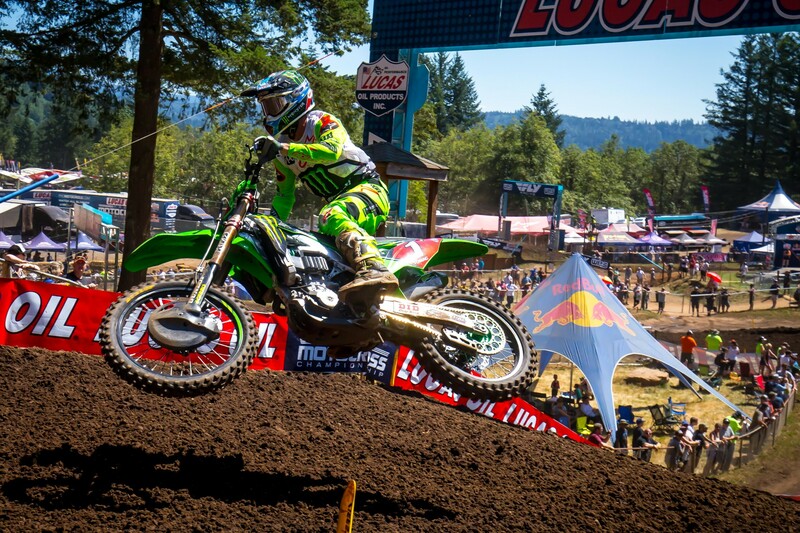 Bogle took both holeshots at Washougal on Saturday. Moto scores by Aaron Plessinger in the 250 Class on Saturday, which was good enough for the overall. Shane McElrath won the 250 overall at Muddy Creek with 3-2 moto scores. Straight overall wins for Plessinger, which has helped him extend his points lead to 59 over Alex Martin. 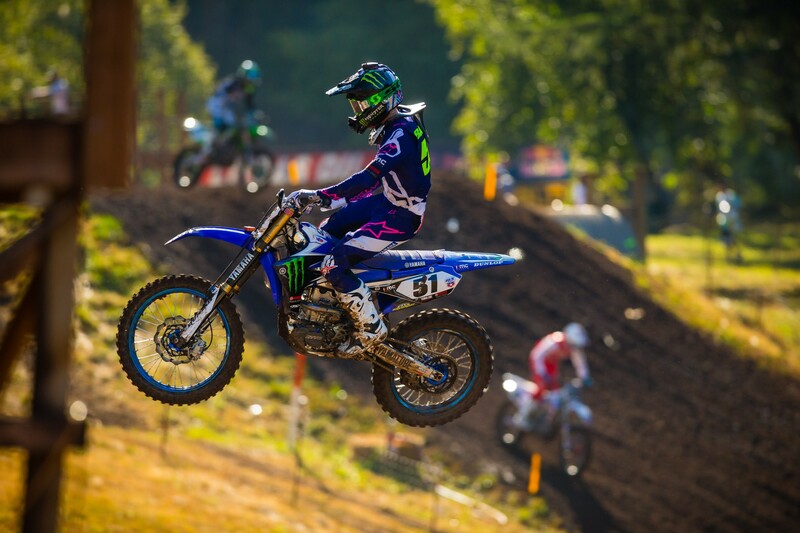 Laps led at Washougal by Plessinger. 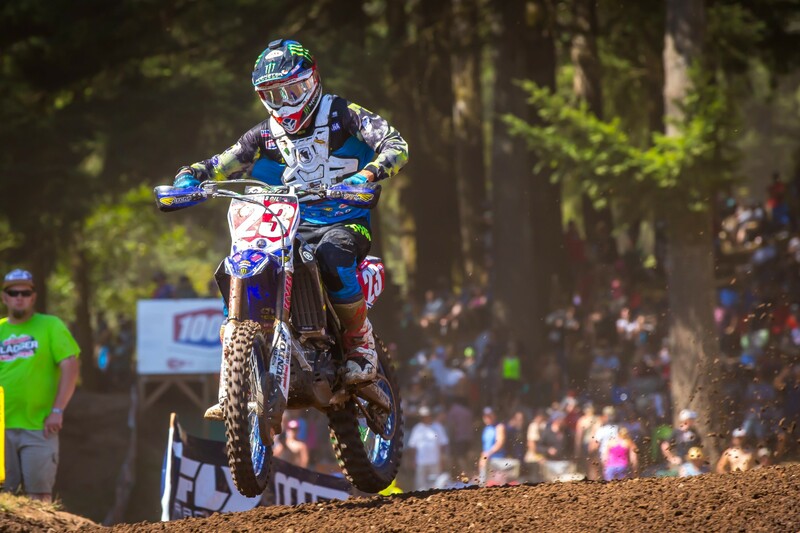 Average qualifying position for rookie Justin Cooper, who was fastest in the 250 qualifier at Washougal. His average qualifying position is best in the 250 Class. “Today was up and down. The first moto was decent and I had a hard-fought race. I went down in the first lap of the second moto. I got up, made some quick passes, and started coming back. Then I crashed before the whoops. I literally picked myself back up and tried to take off, but then went down again. It took the wind out of my sails, but I’m going to keep plugging away." As we reported over the weekend, Monster Energy/Pro Circuit Kawasaki told Jason Weigandt that Austin Forkner was sore but not seriously injured in his crash in the second 250 moto on Saturday. Forkner was trying to scrub Horsepower Hill when his front tire clipped the jump. He was on the ground for a while before standing under his own power and exiting the track. Monster Energy Kawasaki got Josh Grant back for the first time since Arlington Supercross. Grant has been out with a leg injury that require multiple surgeries. But after finishing tenth in the first 450 moto, Grant was unable to lineup in the second moto due to pain in his ankle. 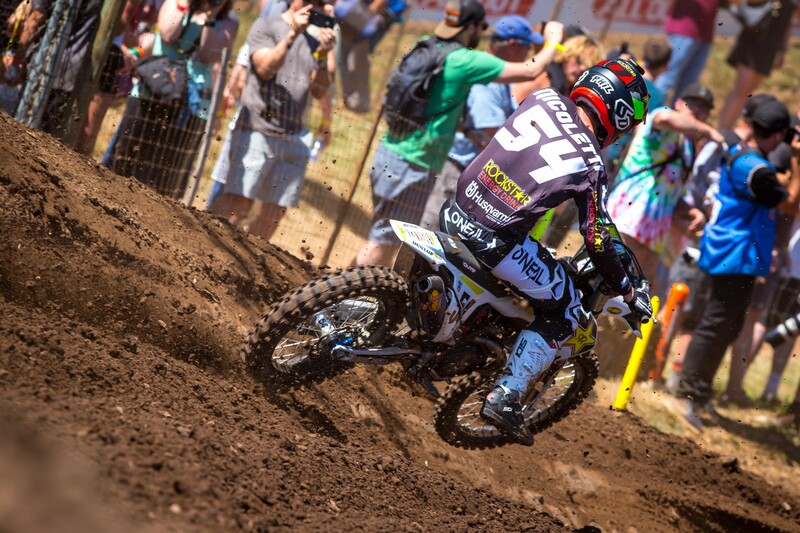 With Lucas Oil Pro Motocross off this weekend, Grant said he expects to be ready for Unadilla.